Today was like any normal Sunday, relaxing and very calm. I began today with a late start, waking up at 9:30am then immediately getting ready to face the day. Because I knew that today was going to be very relaxing, I decided to spend the day in sweatpants, a very comfortable shirt, and Uggs. 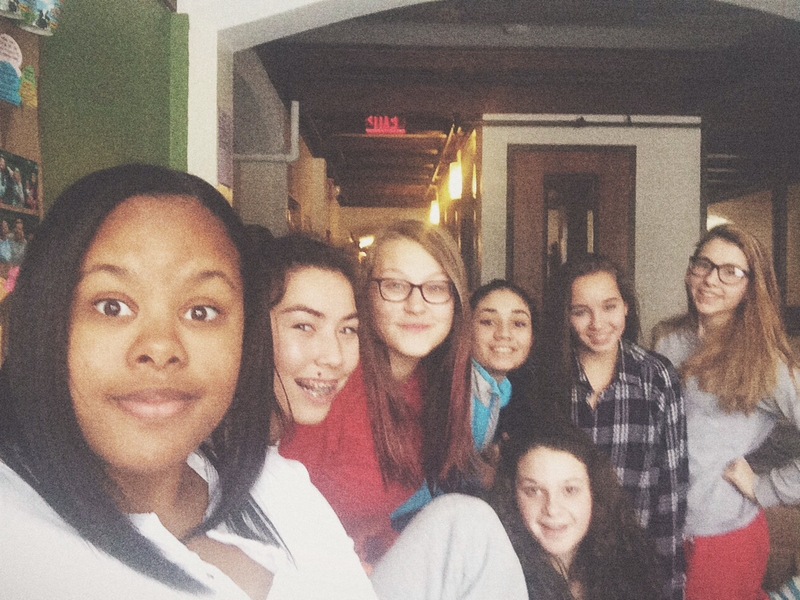 After I got ready and ate my delicious breakfast, waffles with whipped cream and bacon I went to one of the lounges in the freshman hall with my friends. While we were there we watched dance mom’s clips, cat videos, and beauty videos. Once everyone dispersed to get ready for the day ahead of them, a couple of girls and I went to the lunch room to get lunch and then back to my dorm to talk and do homework. I had a very interesting conversation today with a girl named Claire about feminism and women’s rights. Claire even showed me a video about Emma Watson speaking about her campaign He is She. Emma Watson spoke about how without men understanding what feminism is and standing up to promote feminism then it will take women at the very least 50 years to obtain equality in a social and political standpoint. I thought that Claire’s views on Emma Watson’s speech were insightful and she made very good points. Once the two girls, Claire and Grace left our room, Emma and I went on a trip to CVS. At CVS we bought snacks and things we needed for our dorm. Even though we were just going to CVS, I had a lot of fun with Emma and I think that she is a funny person to talk to. Once our adventure to CVS came to an end I went to do something that I’ve never done before, laundry. When I am home my mom and stepdad will do my laundry if they are doing their own so it’s very rare that I’ll ever have to do it myself. To start off this “amazing” trip, I got lost and couldn’t find the laundry room. Because I’m stubborn and am trying to be independent I wondered around for a while before giving up and just asking a girl in the hallway.The girl was very nice and she gave me directions and even walked me half way. 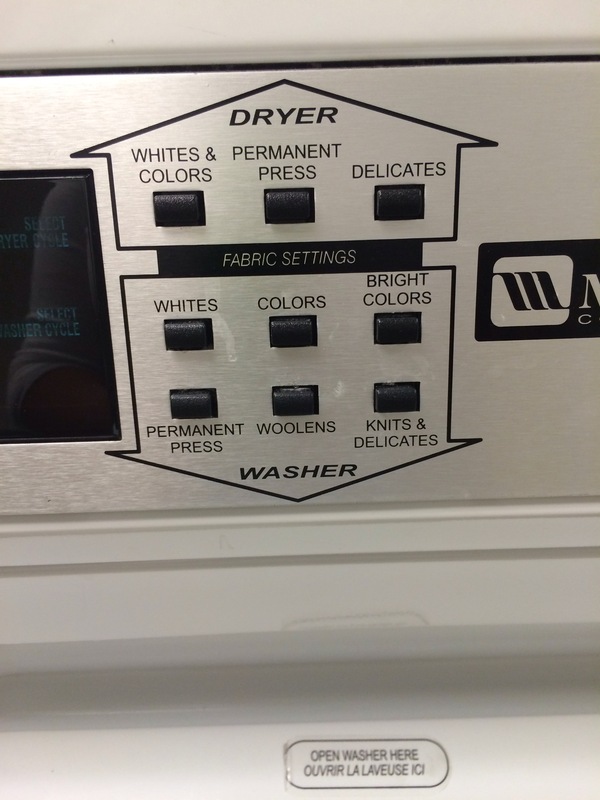 When I arrived I felt confident until I looked at all of the buttons on the machine and then I quickly realized that I had no idea what was going on. 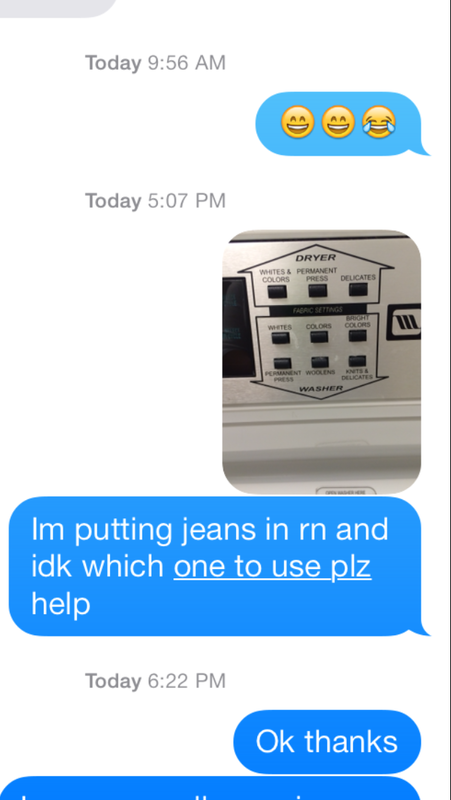 I took a quick picture of the washing machine’s buttons and sent it to my step-dad with a message attached saying that I needed help. I talked to my step-dad on the phone for a little bit while he guided me through the process. The good thing about the laundry room is that there is more than one washer and dryer so I was able to wash and dry multiple things at one time. After my little fiasco with the washing machine I went back to my room to write two poems for english class. Even though today was sort of uneventful, I still had a very good day. I’m excited to see what’s in store for tomorrow!